1. EXPO Dry Erase EraserXL with 10"
3. 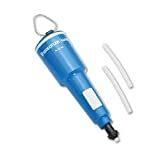 Electric Erasing Machine, 10 ft.
12. 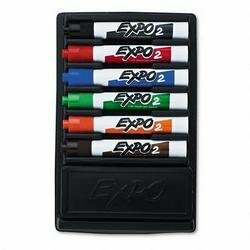 EXPO 12-Marker, Eraser and 8-oz. Conditioner and cleaner for all markerboards. 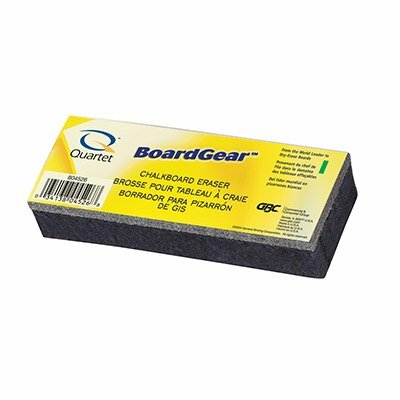 Specially formulated to recondition and restore Dry Erase boards to their original write-on/wipe-off capability. 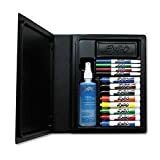 Set includes Black, Red, Blue, Green, Brown and Orange markers. Custom holder mounts to dry erase board. 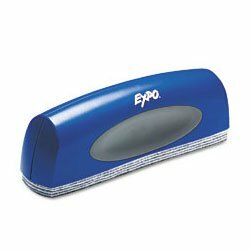 Includes eraser and mounting dot. Quickly remove shadows, grease, dirt and stubborn stains from dry erase porcelain enamel, melamine and electronic whiteboard surfaces. Use regularly to restore surfaces to original brilliance. Four-color fine tip and eight-color chisel tip sets. Colors included in set: two Black, two Red, two Blue, two Green, one Brown, Orange, Yellow and Purple. Eraser and 8-oz. board cleaner. 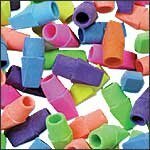 Nylon eraser scrubs away stains, soft pile on outer eraser edges picks up marker dust. Includes three Expo chisel tip markers (black, blue, red) that store in handle. Convenient, self-adhesive Velcro strip attaches to most smooth surfaces. One of the most annoying things is when one makes a mistake, turns the pencil over to erase it, and finds out that the eraser is all gone. These erasers tend to outlive the pencil, in my experience, and are extremely convenient because the go where the late eraser was. When the eraser is separate, I rarely remember that before flipping the pencil over, but with an eraser that goes on top I don't have to worry. The eraser itself works very well, better than many erasers that come on the pencil. It also leaves a minimum of stuff on the paper when used- a nice feature. Personally I like the many different bright colors offered in this set.Sometimes I end up with a color that doesn't match my pencil, but I don't mind. 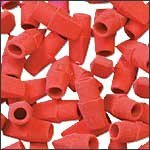 All in all, these are very good erasers. Made of premium felt and suede. Felt side for superior chalk dust absorption. Flip over and use suede side for excellent cleaning power. Ideal for low-use environments or personal work spaces. 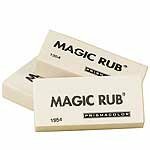 Excellent chalk absorption and cleaning power. 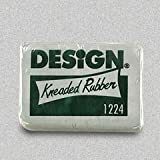 Safe for use on all chalk surfaces. For use on drafting films, delicate drawings or tracing paper. Erases quickly without marring paper surface; won't smudge or smear.